Looking for attention? 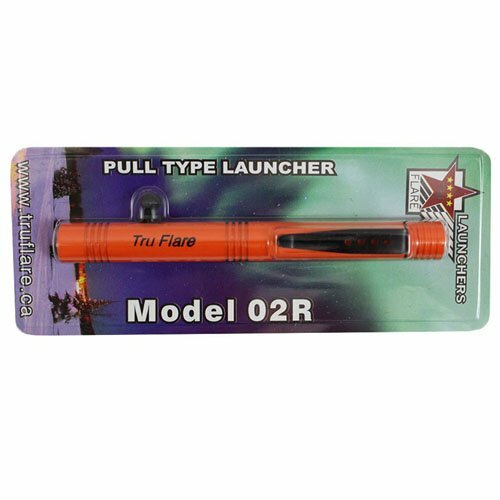 The Tru Flare Pen Launcher will make sure you get it. This orange pen launcher sends out flares that are visible up to 3 km (1.86 miles) during the day and an impressive 12 km (7.5 miles) at night. The launcher has a thumb leaver firing design and is spring-loaded. Weighs 40 g (1.4 ounces). This pen launcher can be equipped with a Bear Banger or Whistle to deter bears, coyotes, and other animals in the wild. Best flare tool on the market! Will be great for stocking stuffers.